While it may not always seem like it, it’s possible to pay far less or even altogether avoid paying certain fees on your merchant account. The trick is to know which ones are within your control to regulate. There might be more scope than you realize. Here are some ways you can reduce those fees and improve client feedback at the same time. As you look over contracts offered, you’re going to see that there are lots of regulatory fees that you might be able to eliminate, therefore potentially saving hundreds of dollars a year. These providers want your business so get in there and discuss reducing these fees to a minimum to make sure you get the best deal you can, remembering to ask questions that are particular to your business and important to the structure of the merchant account. Interchange fees are the fees that you pay for having money transferred from your customer’s account to your bank account. Your merchant account provider’s policies will dictate how much you’ll pay for these transactions. These fees usually make up the majority of the credit card processing cost that you’ll pay each month, so if you don’t have a merchant account yet, you’ll want to compare and contrast the fees presented by different providers, to determine which one is the most practical for your business. This system will help you understand how credit card transactions are measured. Depending on how you choose to process purchases, you’ll end up paying more or less for your interchange fees. If customers and employees key in their card numbers manually, this is likely a “mid-qualified” or a “non-qualified rate”. Additionally, if address verification service (AVS) is not implemented it could cause you to pay a higher rate. By using stricter security measures— like swiping cards instead instead of key entering them, or using card readers through apps and websites— you can tip the scales in your favor in terms of lowering processing charges by qualifying for the lowest rate possible. Check with your provider to find out how you can qualify for these better rates. 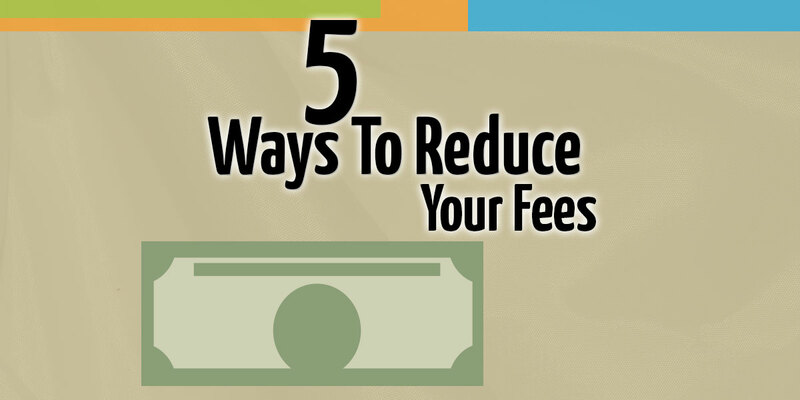 You’ll find that over time your fees are going to creep up. Nominally this is because Visa and Mastercard are continually changing their fees according to global interest rates and your provider will pass those fees on to you. Unfortunately all merchants have to live with this, but only up to a point. Every 6 months, compare your current statement to previous statements. If you’re not happy with the level of your rates, contact your provider and ask for a review. You’d be surprised how much discretion your provider has to help out. Learn how to calculate your effective rate to learn how create a benchmark rate that you can use to more easily compare statements. A chargeback is when customer requests a refund for a purchase made, but instead of asking you for the refund, they ask the credit card company instead. This is expensive for you, as not only do you lose the revenue for the product, you have little recourse to get the product back, and get slugged with fees. A customer returns an item to you and requests a refund, which they never receive. This not only ends up being bad customer service, but will cost you chargeback fees.Best bet is to have a consistent process in place to make sure that all refund requests are processed in a timely manner. The transaction was processed, but the customer never received their items, or their card was charged multiple times. To avoid this you should organize all information on purchases and shipments so everything is on file, helping to avoid mistakes. Your descriptor of the transaction on their credit card statement isn’t clear, either because the company name isn’t present or they don’t remember where that transaction took place. Get in touch with your account processor and have them explain what your descriptor says. Ask them to suggest ways you can improve it to avoid any future confusion. So there you have it! Don’t waste another dime if you can help it. Contact your provider today and take a look at what fees can be reduced or eliminated from your current plan. If you found this post to be valuable, please feel free to leave a comment below or share it on Facebook with your friends. Additionally, if you have questions in general about merchant account maintenance please email us and we’ll get an article or video up to answer your questions.